Habitat - Prairies, moist swales, roadsides. Other information - This attractive species can be found in the black-belt prairie region of Alabama. 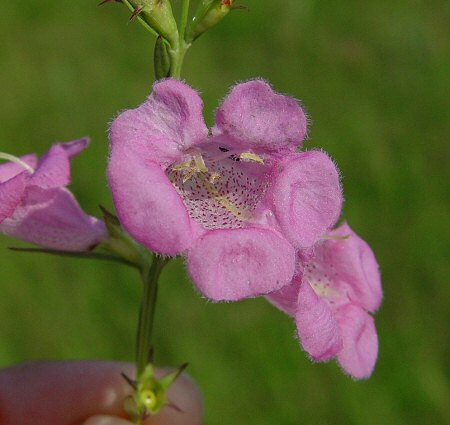 It is easy to identify becasue of its habitat, three-lobed lower leaves, and big, pink flowers. 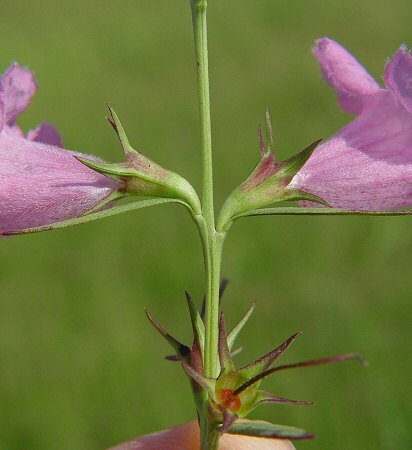 The pedicels of the flowers are shorter than or equaling the calyx tube. The calyx lobes are equaling or (most often) longer than the calyx tube. 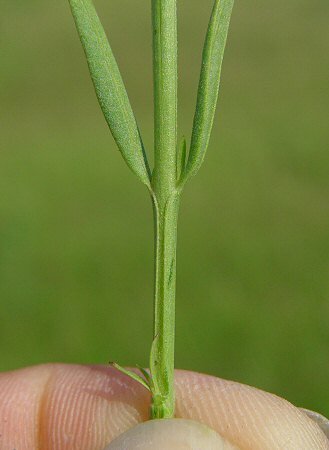 The three-lobed lower leaves are often shriveled by the time the flowers appear. 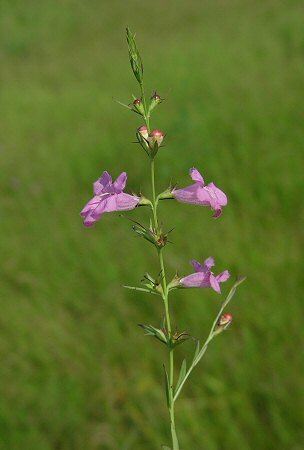 The genus name Agalinis derives from the Greek "aga" meaning "very, very much" and the Latin "lin(um)" meaning "flax." 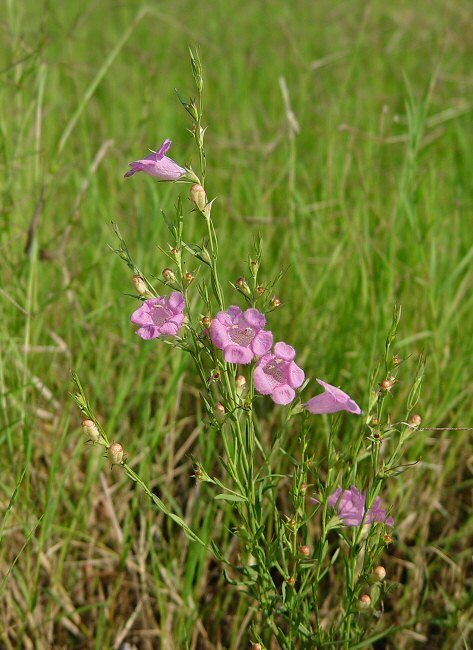 The name refers to the plants resemblance to plants in the genus Linum. 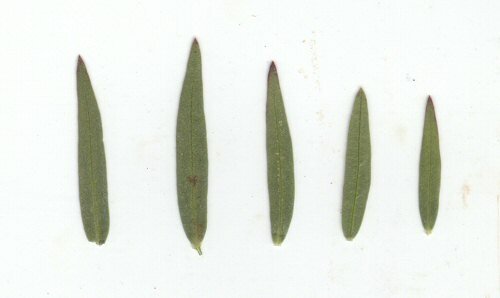 The species epithet heterophylla derives from the Greek "heter(o)" meaning "different, other" and "phyll" meaning "a leaf" referring to the differences in the lower and upper leaves of the plant. Photographs taken off Hwy 65 near Gould, AR., 9-8-06.